Soon after being uprooted from their home in Uganda by the Idi Amin regime in the early ’70s, Sheetal Mehta Walsh’s family relocated to Canada, where her parents set up the Alberta Gujarati Association. It was through this body that Mehta Walsh gained exposure to community life and saw beyond what life was like in the West. 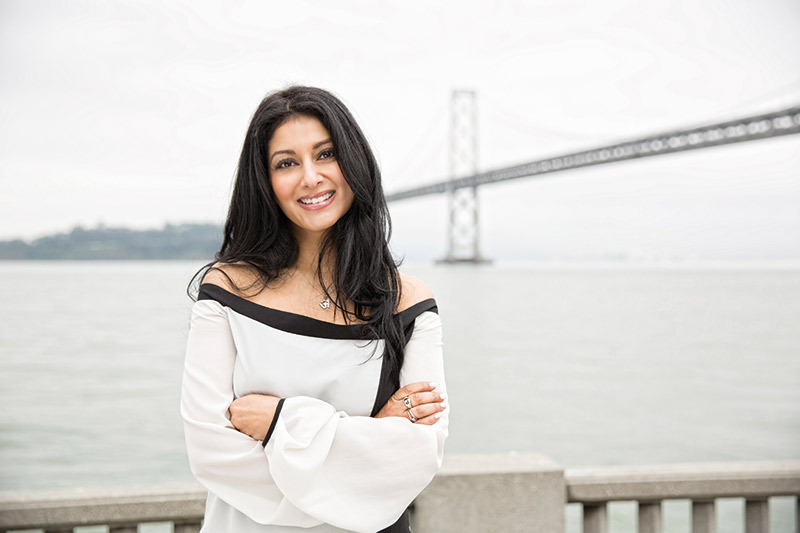 Later, she worked in the venture-capital funding sector (she has been director of venture-capital relations at Microsoft in the UK) and with international charitable institutions for close to two decades, eventually merging her learnings from both worlds to set up Shanti Life in 2009, in the UK. While the organisation has charitable statuses in Canada and the US, the operations and implementation take place in Gujarat. Inspired by Bangladeshi social entrepreneur Muhammad Yunus’ model of microfinancing, the crux of Shanti Life’s ethos lies in providing loans that are capped with low interest rates. The repayments are used to finance the beneficiaries of other female-run businesses in the villages that are looking to start entrepreneurial ventures. This way, the sustainable Shanti Life model ensures that money is replenished to move the communities further. Moreover, the organisation does not pocket any of the repaid interests, a characteristic that has won them integrity among the communities they work with. Having found that most charities bear huge administrative costs, with funds often not reaching those who need them, Mehta Walsh’s organisation follows the ‘teach a man to fish’ philosophy, by focusing on training and assisting the poor to access resources. Moreover, the organisation focuses heavily on women empowerment; and since they have FCRA [Foreign Contribution (Regulation) Act] status, they distribute the funds directly to women, and not through money-guzzling third parties. Not only do they uplift the lives of the poor but also integrate them into the system, giving them ownership and responsibility, which in turn, fosters empowerment.